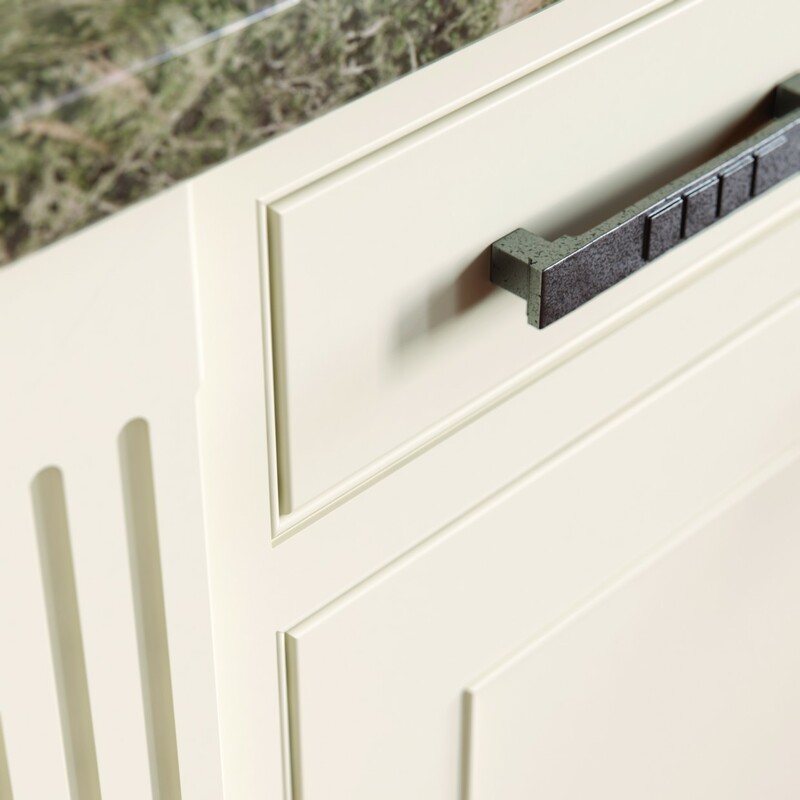 Populated by a selection of creative accessories, including fluted posts and castellated rails, the Dawson kitchen also boasts a number of other features that make it exceptionally suitable for any family with a busy lifestyle. 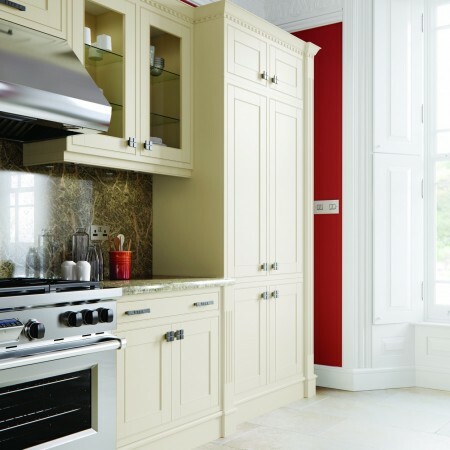 If it is storage space you are looking for, this kitchen is ideal. The inclusion of an abundant number of base and wall cabinets, including tall larder units, provide all the space you could need, with framed glass doors prompting the display of favourite kitchen items. The dining area, in close proximity to the island, is furnished with integrated bench seating, encouraging the family to gather together in familiar comfortable surroundings, to enjoy a meal or lounge with a cup of coffee and good conversation. 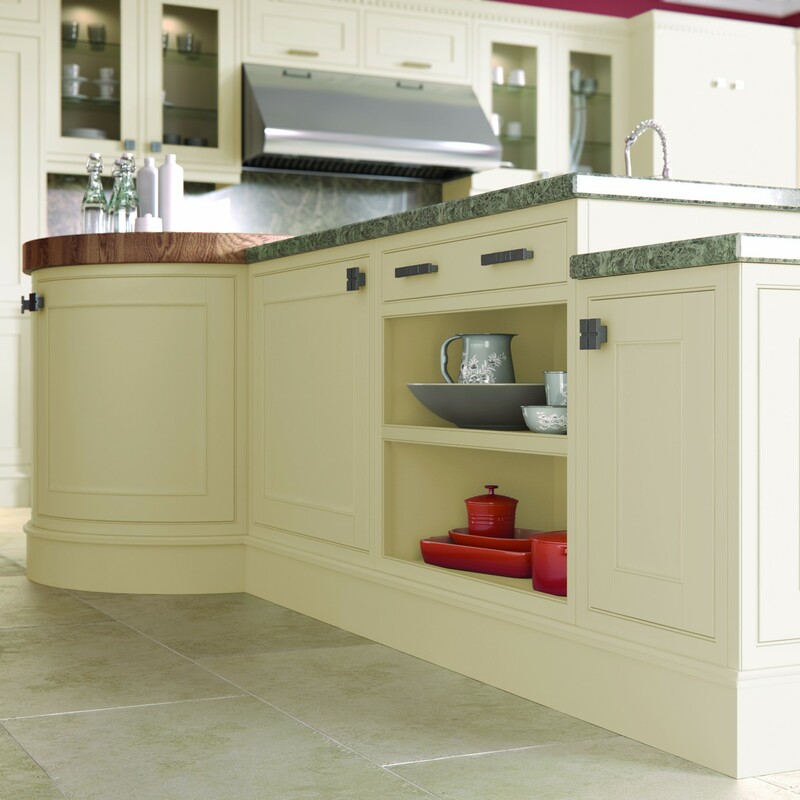 Finally, the L-shaped island, featuring a circular end unit with integrated chopping board, offers plenty of room for food preparation as well as a place to exhibit a vase of freshly cut flowers or a plate of baked goods, ready for an impromptu visit from unexpected guests!